The ageing population – which is a consequence of increased life expectancy – has brought about a rise in chronic diseases and other medical conditions. We know that a great number of illnesses can be prevented, the onset delayed or the prognosis improved, simply by patients following a healthy lifestyle and going for regular check-ups. The current challenge in health care is to try and completely avoid these illnesses from appearing or, failing that, get them diagnosed in early stages. Who should have check-ups or medical examinations? Check-ups are advisable for everyone, although depending on the age of the patients and their situation, different types of tests are carried out. Why should we go to a doctor for a check-up? Because a check-up can detect diseases in early stages, even when there is no obvious symptom that could give rise to suspicion in a patient, such as in the case of degenerative diseases, e.g. bone and joint diseases. Furthermore, risk factors can also be revealed which, if action is not taken on time, can result in the onset of the disease. What should we get checked at different stages in our lives? There is no set age for health checks. 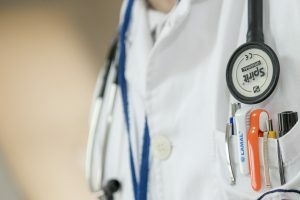 There are some people who, due to their type of job or lifestyle, require more frequent check-ups or, indeed, more specific check-ups which would be decided upon by a specialist. At the same time, recommendations can also vary depending gender. Younger than 30: A basic check-up should be carried out, checking blood pressure, cholesterol and sugar levels. From the age of 40: A complete check-up should be carried out every 2-3 years, depending on gender and risk factors. From the age of 50: A complete check-up should be carried out every year, depending on gender and risk factors. Health is undoubtedly one of the most important aspects in life. Fortunately, a rise in the demand for check-ups and medical examinations has been observed due to an increased awareness of the advantages.